Looking to excite a party or event? Call and ask about our Mobile Equipment Rentals! 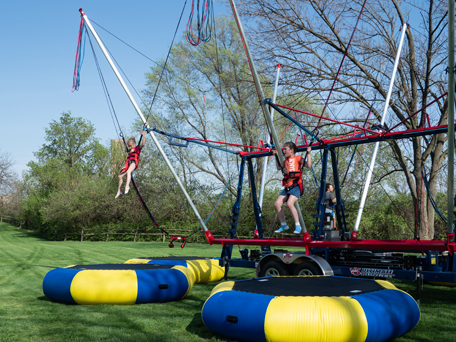 Our trained and professional staff will bring our mobile attractions to your party, festival, school event, fundraiser, or any gathering you want to add a little more fun to! 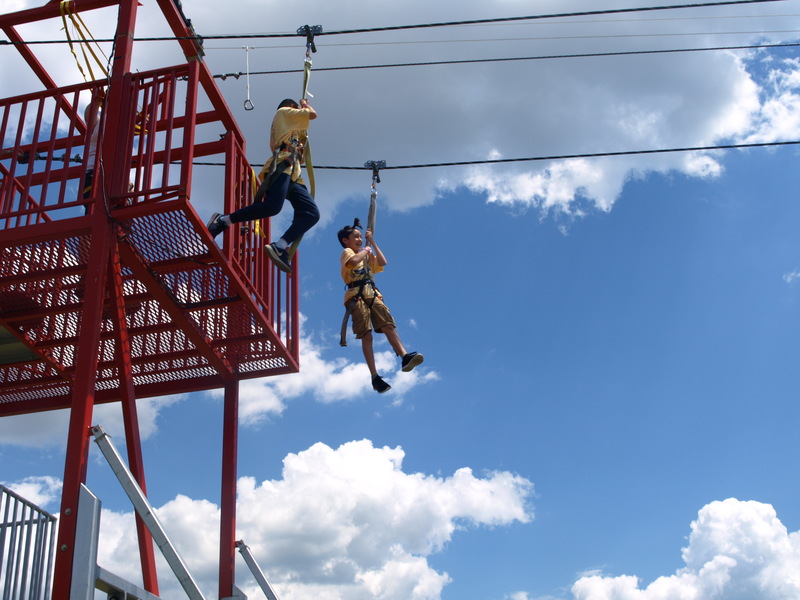 Included in the price is trained staff to run the equipment, traveling costs, and any extra equipment needed to operate the attraction. No hidden fees! These are the same pulse quickening pieces of equipment that operate during the park season and are proven to be fun-tastic! Contact a Sebastian Cuba at 610-759-2270 or cubas@dutchsprings.com to book your mobile adventure! The Ultimate Jumper is a five trampoline bungee jumper that accommodates up to five thrill seekers at a time. Jumpers will jump 15 to 18 feet in the air and can perform front and back flips, showing off aerial acrobatics! The Ultimate Jumper is perfect for all ages! 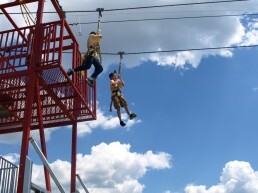 The Mobile Zip Line has a 30 foot tall tower you step off to soar 200 feet, speeding back down to earth. 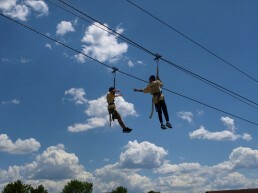 The Mobile Zip Line is perfect for thrill seekers large and small and a perfect addition to any outside event!